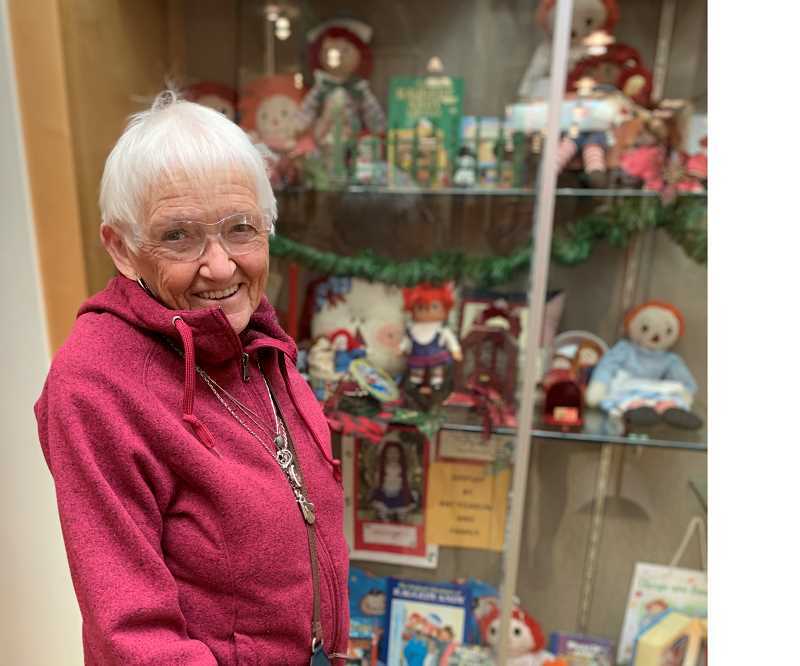 Forest Grove resident Pat Yoakum celebrates 25th year of doll collection on display. Forest Grove resident Patricia Yoakum stands in front of a glass display case, examining its contents. Inside is the collection Yoakum has spent the last 25 years curating, with dozens of smiling red and white faces looking up at her. 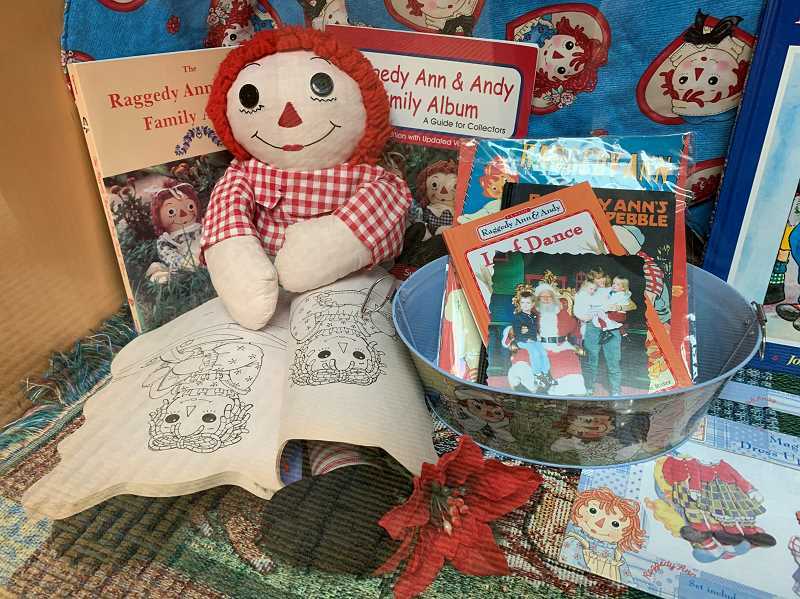 For the past 25 years, Yoakum has been tending to this collection in the Forest Grove Library each winter, as dozens of Raggedy Ann dolls and memorabilia fill the library. The annual display has become a staple of December in Forest Grove since the early 1990s, but Yoakum, 88, plans to hand over caring for the collection to a new generation: sisters Hannah, Rachel and Caitlin Jones of Hillsboro. "Pat is like a grandma to us," said Hannah Jones, 22, a kennel supervisor who has known Yoakum for most of her life. "She is kind, loyal and fun be around." Known for their moptop red hair and triangle nose, Raggedy Ann hit the toy scene in the early 1910s in the United States. It later on inspired a book series and became an instant collectible for the past century. Yoakum's collection includes more than 80 Raggedy Ann dolls, books, signs and other hard-to-miss items. Many of them were given to her by people who knew and enjoyed her collection over the years, Yoakum said. "People would say, 'I have one at home,' or I'd find them at thrift stores," she said. "Once you begin collecting something, you see it every-where." 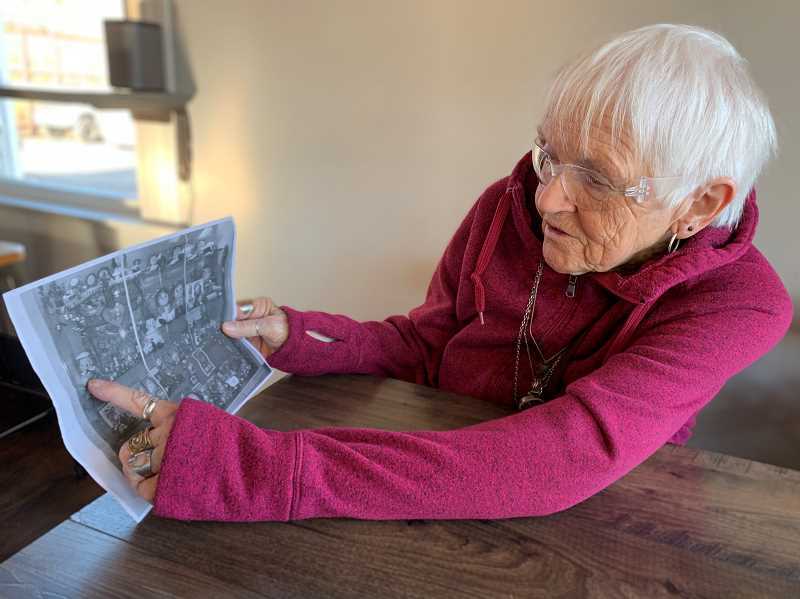 Born in Portland in 1930, Yoakum spent summers in Forest Grove, swimming and dancing with friends and family before moving to the area. Yoakum has worked at McMenamins Grand Lodge, The Forest Grove News-Times and as a nurse locally. She owned and operated Chapter II Books on 21st Avenue. The idea to bring the classic children's toys to the Forest Grove library started more than two decades ago as an homage to Yoakum's childhood, she said. "I've always loved her, and I had them when I was a little girl," Yoakum said. "My mother had a dollhouse when she was in her 80s and I put that on display in the library." After the success of that display, Yoakum decided to showcase her collection of Raggedy Ann dolls, she said. On a recent visit, Yoakum checks to make sure everything in the display is in tip-top shape. One handmade sign particularly stands out: "I'm just a Raggedy Ann in a Barbie doll world." This sentiment is something Yoakum identifies with, she said. display each year, and said she's excited to continue the curation of the collection for Yoakum. "The Raggedy Ann (collection) has been a tradition for us since we were little," Hannah Jones said. "It isn't Christmas until we do the Raggedy Ann display."